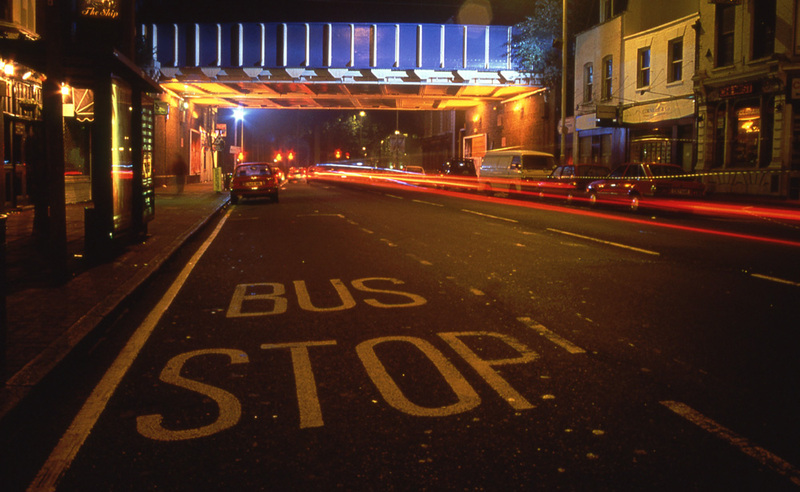 Permanent paint and light work commissioned by Bethnal Green City Challenge. 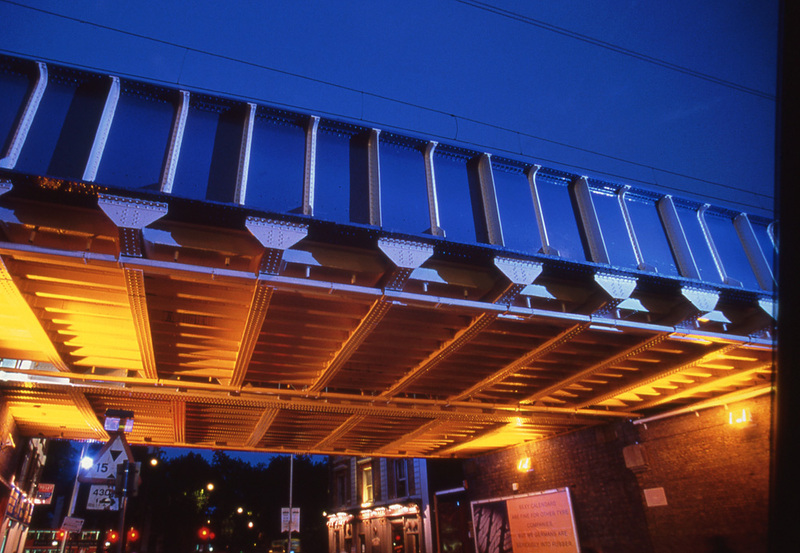 This project lead to further bridge interventions commissioned by Groundwork, Hackney at London Fields, Hackney Wick, Martello Street (in conjunction with Freeform) and Hackney Central (in progress 2003). Acknowledgments: Richard MacCormac; Geoff Fannin, Fangeos.